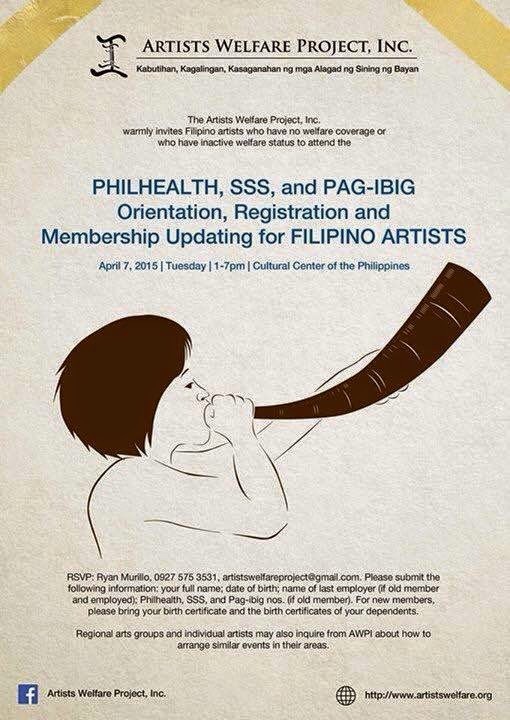 The Artists Welfare Project Inc. (AWPI) will conduct Philhealth, Social Security System and Pag-IBIG Fund (HDMF) Orientation, Registration and Membership Updating for Filipino Artists on April 7, 2015 (Tuesday) from 1-7 PM at the Cultural Center of the Philippines. Arts manager – has supported 5 artists or productions. Artists who work freelance, have no benefits, and who would you like to be part of an artists’ initiative to help find solutions to their own vulnerabilities. 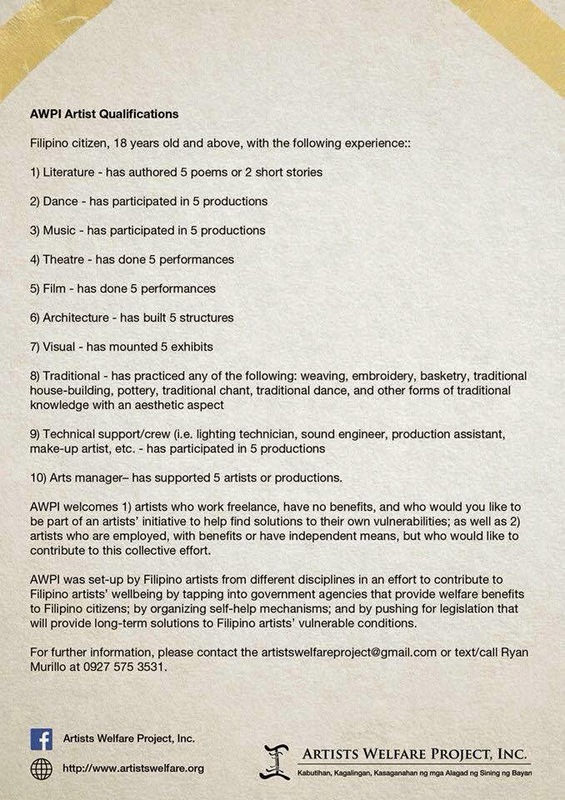 Artists who are employed, with benefits or have independent means, but who would like to contribute to this collective effort.